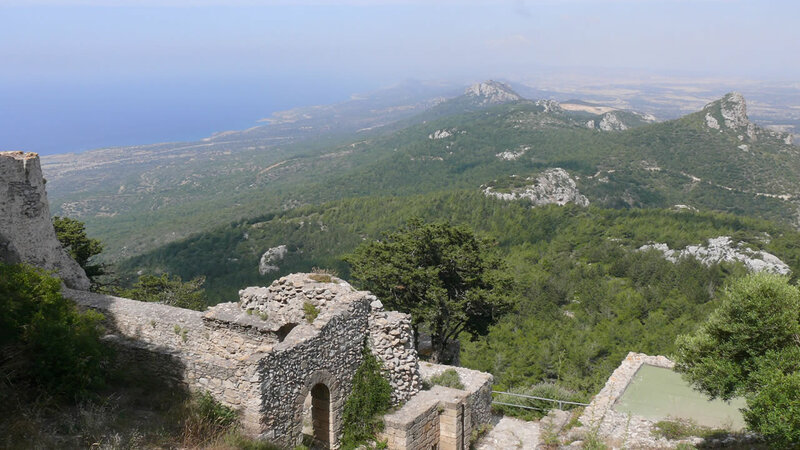 For information on the excellent Kantara castle walk please go here. From Nicosia we head north east and uphill towards Kantara castle (we start walking nearly four km before we reach the castle). Halfway on the walk we reach Kantara castle. Walkers have the option to visit the castle (there's an entrance fee no more than three Euro per person). 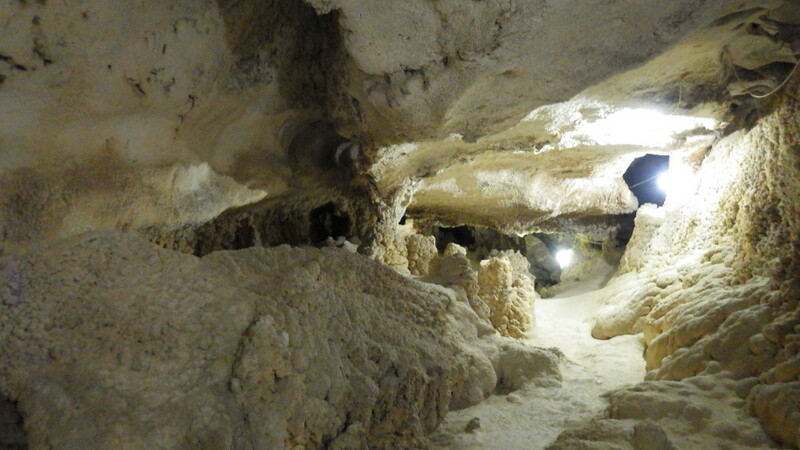 If there is time we may visit another attraction in the area (eg Panagia Tochniou monastery or Platani/Cinarli cave). After we finish our walk we return by car to the pickup location. Duration: Six hours (the number roughly applies to the time of travel and the actual walking itinerary,ie walking, having breaks). What's included besides the guiding is transportation. I pick up the customers from a pre-agreed location in Nicosia near the Agios Dometios checkpoint and deliver them back to the same location at the end of the trip (unless we make other arrangements). Those who want to explore the Kantara castle should note that there is an entry fee that is no more than three Euro per person to enter the castle of Kantara. It is advisable that walkers were sturdy shoes (with grip), bring along drinking water (and possibly snacks) and are properly dressed for easy walking (sunscreen, hat and possibly a walking pole). There is no deposit with online booking of the service. Once we receive a minimum number of bookings for a specific date then we notify those who booked to pay within a limited amount of time; if they don’t then their booking may be cancelled. The trip takes place provided a minimum number of interested explorers pay for the service. We reserve the right to cancel a trip and return any advanced payment that we received, because of bad weather or other reasons. If there is any remaining amount to be paid other than what is paid at the time of the booking, it must be paid prior to the commencement of the trip. There is a quoted price for adults in our car (50 Euro per person) and a different price for adults in their car (30 Euro per person). The price for escorted minors in our car is the same as the price for adults in our car. Escorted minors on escorts' car can join the trip free of charge. If Cyprus Walks Etc cancels for severe expected weather or other reason we provide our customers with full refund for the services paid to us. Where possible we provide an alternative date, which customers can select instead of refunds if they prefer.